It can be pretty overwhelming these days with all of the sad things that are going on in the world. From Crimea and Ukraine to starving and abused children to the devastating mudslide in Oso, Washington, it’s very easy to feel hopeless and like there is nothing you can do to help. I definitely feel that at times. But the good news is is that we don’t have to single-handedly save the world or provide clean water to Africa overnight. We can all do small things like donating money to a cause we support or volunteering our time at a soup kitchen or other organization. 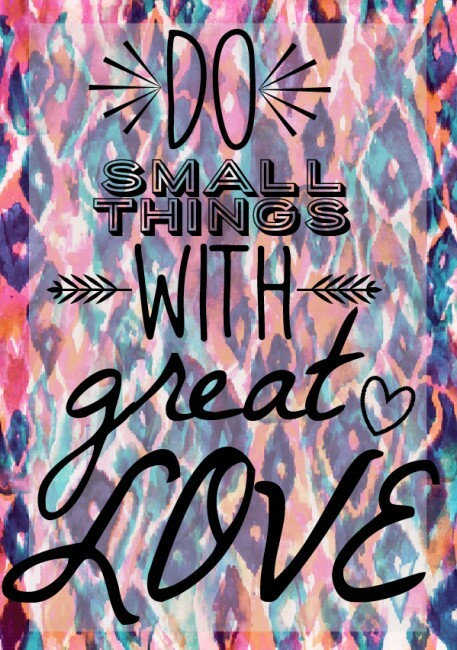 If we do these seemingly small things with great love, we can make our impact on the world. Get the PDF Printable Here!